With Cespedes (23 HRs)and Reddick (32 HRs) anchoring the middle of the lineup last year in the 2nd half – the Athletics belted an MLB Leading 112 Round Trippers after the ALL – Star Game. Many players clubbed the long – ball despite limited AB in the lineup. They also finished 3rd in the Major Leagues for the whole season on the road. This is bad news for teams in the AL West. The team looks to duplicate their incredible second half of power into a full season in 2013. 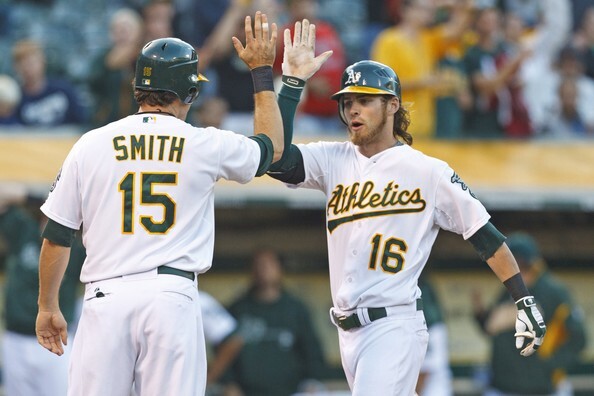 The success of the Oakland Athletics was the surprise of the year in 2012. No one expected them to win the AL West after the Angels signed Albert Pujols and C.J. Wilson and with the Rangers coming off of their second straight World Series Appearance. The A’s completely came out of nowhere with players stepping up that no one had heard of. 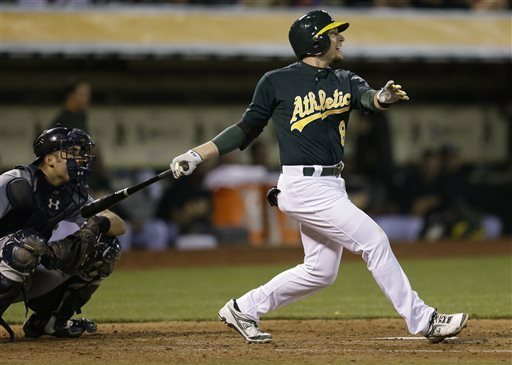 Josh Reddick proved to be a great acquisition from the Red Sox, hitting 32 bombs and driving in 85 runs. Cuban import Yoenis Cespedes also exceeded expectations after he was signed in the offseason, hitting 23 Homers and driving in 82. These two hard-hitting Outfielders served as mini Bash Brothers. Of course, no pair of hitters could compare to the Bash Brothers of 1987 consisting of Mark McGwire and Jose Canseco, who combined for 80 HR. But, seeing Reddick and Cespedes both have good hitting seasons could have reminded longtime A’s fans of the greatness that happened in 1987, Canseco’s second year and when McGwire was a rookie. Cespedes and Reddick, along with the rest of the Oakland Athletics’ cast brought excitement to the Oakland Coliseum for the first time in a few years. But, the big question is: was last year a fluke?